Add a sparkle to your bubbly with this chic Glitterati cocktail from Blue Nun. Elderflower and rose liquer give it a real thirst-quenching taste that’s perfect for Christmas or New Year celebrations. 1. 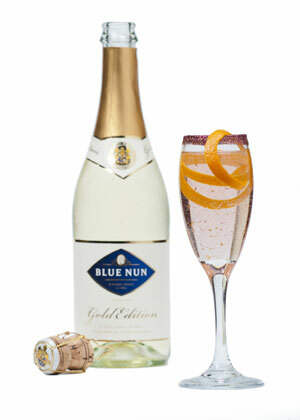 Mix the elderflower liquer and rose liquer, then top up with the Blue Nun Sparkling Gold wine. Garnish with an orange zest spiral.